Antique large size Edwardian early 1920's party dress! Dress has sequins and gold bead strands on 1" wide straps and around front top edges. 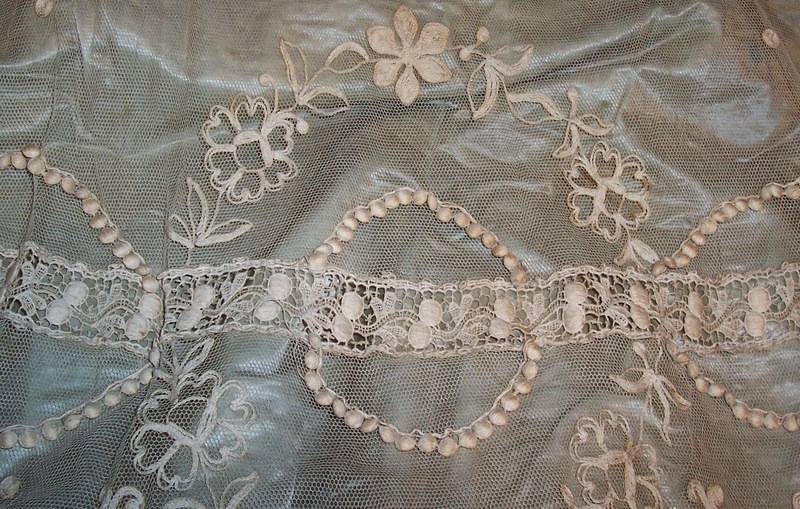 Embellishments have loss and damage. The dress has the tiny mesh overlay that is embroidered with lovely flowers and has little rows of balls. Some tiny holes in mesh. Some yellowing with age! 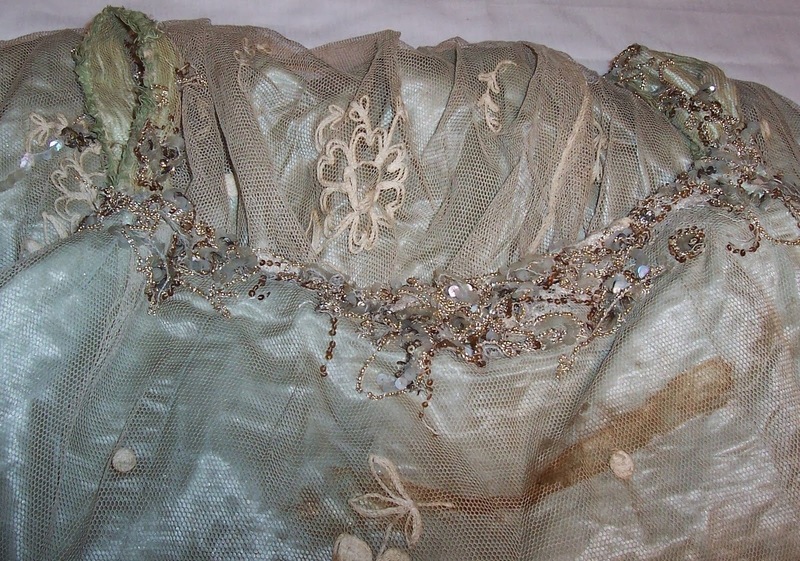 There is a brown stain(see photo)at front under embellishments. The stain is on the pale green silky underslip. Inside the top of dress is a cloth ecru colored lining that fits nicely over the bust. Underslip is nice with the pleated ruffle at bottom of hem. Dress is very full and makes me think of a "balloon" dress! Bust measures 22" with garment laying flat. 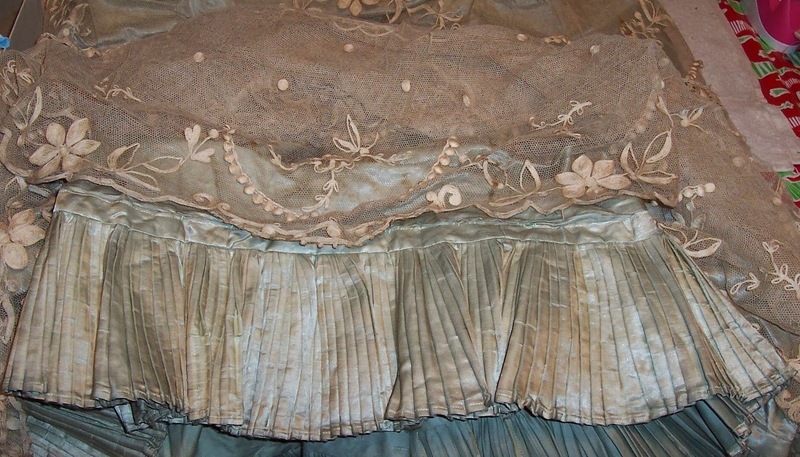 Dress is 44" long and has several different ruffles layers at bottom. Use for material to make something else or bring this wonderful large size dress back! I rarely see large sizes so I hope that someone who is not a small size can use/redo it! Please wait for invoice to insure exact shipping to your home. Please be patient as it may take me a day to pack your item! NO RESERVE! This is so completely beautiful!